La Hacienda is in the strip mall with Buster's where El Chico used to be. There's also one in Collierville. My sister claims they have great tortilla soup. A few weeks ago, we decided to try it out. 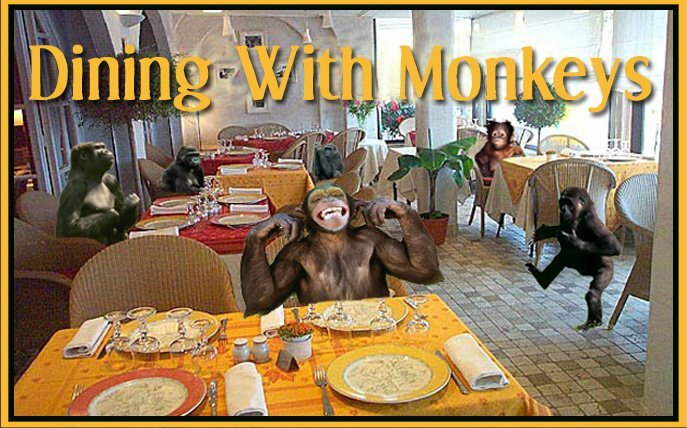 The monkeys (Satchel, 10, and Jiro, 8) ended up having a meltdown, so our whole dining experience ended on a sour note. Last week, I insisted we go back. This time we took met a couple of friends. I hadn't been to El Chico since I was about 15, so I'm not entirely sure how much or little the interior has changed, but I love the altar in the foyer. Yes, that's cabbage. On our first visit we sat in the dining room where they project the TV on the wall. Pretty awesome for sports action. The margaritas pack a nice punch and come in several flavors. The one pictured here is a frozen mango margarita. Warren really liked it. The kids kept themselves entertained while the adults enjoyed the margaritas. Jiro was a little miffed that he was not allowed to have Sprite. (On our first visit, multiple Sprites were blamed for his meltdown.) However, his friend eventually shared his and he got over it. La Hacienda is ridiculously fast, so it was only maybe ten minutes before we got our food. I ordered the monkeys the same exact thing they wanted on their first visit--chicken taquitos. It's a pretty large platter, so I let them share. (There are 4 taquitos, but only 3 made it in the picture.) The monkeys are not pico or guacamole fans, so I usually remove that section for my own uses. On our first visit they ate them right up, but for whatever reason, Satchel decided to look closely at them and noticed that there were tiny onions and tomatoes mixed with the shredded chicken. He then refused to eat them. He did however eat all of the rice and beans and one of his friend's chicken nuggets. Jiro ate one and a half, and then went back to chips and cheese dip. Warren ordered carnitas and had way more than he could eat. He had the spinach and cheese enchiladas on his first visit. They were ok.
Warren and I are at odds as to whether La Hacienda is inexpensive. Our first trip cost $45.82 plus tip. Our second, $37.56 plus tip. Our second trip did not include Sprites and my soup was $3.99 instead of $7.99-$9.99 like most other entrees. Now, had we skipped the margaritas it would have taken $6 off of our first tab and $8 off the second. (I guess the flavored ritas cost extra.) So considering all that, I'd say it's about the same as the places we like to frequent on Summer, but most of the places on Summer don't have margaritas. We somehow never made it to the restrooms so I can't weigh in on those. The restaurant uses polystyrene to go containers. I think we'll be back, but we'll have to find something else that the kids will eat.